The Magical Thankful Sonali 12 WDC years! is celebrating 12 years at WDC! So Powerful! Happy happy day Sonali! Thanks for all of your contributions and enthusiasm to make this space shine even brighter! Thankful Sonali 12 WDC years! Thanks so much eyestar~Go Power Raiders.! I love the site, I love our group, I love the wonderful, wonderful people I meet every day! Thanks again for your wishes. A magical lady, indeed! Happy Account Anniversary. Wow! 17 years! That's amazing, happy anniversary and write on! "Note: I'm wanting to show some..."
It is SPRING!! DreamTime Dragon is BACK! and compose a fiery poem! And it's being highlighted in "The Contest Challenge" this month. I hope there are dozens of entries! I think I'll have to see I can fit a dragon into my poems this month! I still remember this being one of the very first contests I entered all those years ago. I’ll definitely see if I can get a dragon into a poem. Did someone say April's coming? Napowrimo! Don't forget that the UNICORNS lurve poetry! 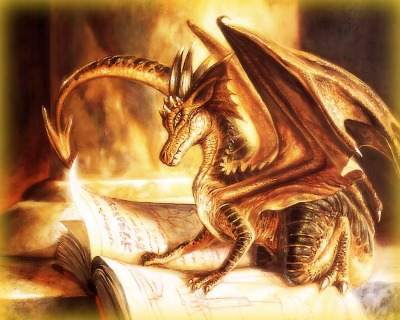 A Poetry contest with a dragon prompt. Teens welcome! Round 13. #1768488 by eyestar~Go Power Raiders. yep, He's back! After all Robert Edward Baker you will have to play somewhere while others are visiting Unicorn land! My muse is already dreaming of easter bunnies. Come on Trekkies and sci fi folks! There is still time. Live Long and prosper there. Thanks for the plug of "The Bard's Hall Contest" , eyestar~Go Power Raiders.!!! Steph and I appreciate it! Happy Happy St. Patty's blessings to all ye Irish and Irish wanna be's! Love this! I play a version of this song on the Irish tin whistle. "Note: Oh my gosh, have you all seen..."
We are raiding today and these are fun! "Don't Trust a Leprechaun "